Today has to be one of the most beautiful days that I’ve ever been a part of in NYC. Even after semi-crazy drunken night out at a friends birthday party the sun rejuvenated me and drew me outside. On my walk home from the gym the cool air kept inviting me to race it home. For the most part I was like: “No, Wind. I’m not racing.” But then at the last minute I sprinted home and touched the door first. Thus winning. I’m in a really good mood. Well, it’s bittersweet. I think part of it is that I woke up really grateful. I have a lot of good stuff happening and I’m glad for it. This week The Boy and I went and saw Brief Encounter at studio 54. 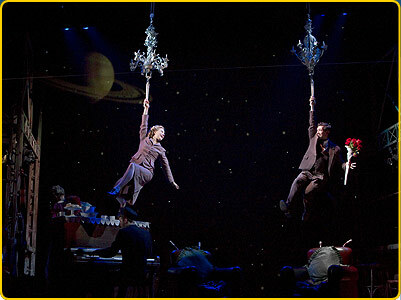 It is a beautiful show with some fantastic stage pictures. The Times says it offers “brief, oddly elegant demonstrations of what lies beneath buttoned-up exteriors”, and I think it’s true. I also think the Times quote is really powerful. A large part of my transition to adulthood, I feel, was just the ability to vent. Just to vent and be angry and seek solace and let emotions ride. I feel oddly more in control letting my emotions show than stuffing things back down into silence. But it took me several years of “adulthood” before I was really in tune enough to let things show. In the Brief Encounter‘s world the characters are holding in emotions of love, and lust, and loneliness, and desire. And that is taxing- but I don’t think they were holding back despair. That’s really hard to take on alone. And unfortunately there are things about our American society and system that sometimes leave the most vulnerable people the most isolated. There have now been 6 news-discussed gay teen suicides this summer, beginning with Rutgers student Tyler Clemente. It’s a situation out of control. I don’t believe that good comes from bad. I believe that good comes from people, and sometimes bad has to wake us up. Perhaps it’s just the circles I run in- Perhaps it’s just who I’m friends with on the Facebook, but I feel there has been a change this summer. People all around me are reacting to these sad facts not only with mourning, but action. I’m watching members of my generation vigilantly confront this problem, and I’m proud. I have invites to memorials, fundraisers, community-building events, and volunteer opportunities. The awareness has already been raised- now it’s all action. Even though I’m sad for the deaths of these kids, I’m glad that people are reaching out and looking for was to make improvements. 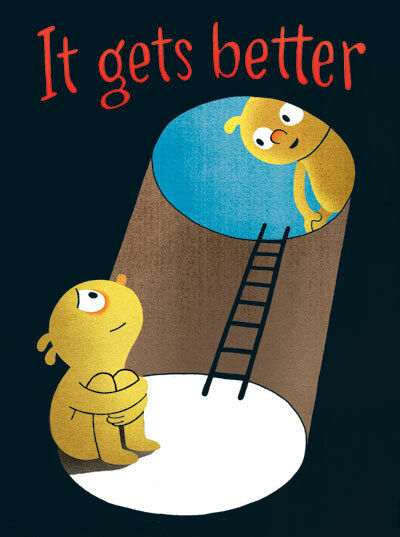 Dan Savage‘s It Gets Better project is one of my favorite things I’ve encountered in a while. For anyone who doesn’t know, it’s a collection of youtube testimonials by queer people offering hope to gay teens trapped in stifling or painful places. The basic message is simple, but I think this project goes beyond saying “hang in there and move to a coast and it’ll get better.” I feel like it’s less a reminder that safe urban places exist and more a reminder that there are people who will take the time to record a message of hope and send it out into the void for young people stranded in the hateful pockets and backward thinking corners of the nation. It’s a nice reminder of humanity’s better side. I spent a about a half an hour watching through these videos this morning, and I have to say I’m proud of our loud, compassionate counterculture. So, although I can’t bare to think about the senseless loss of the 6 young kids, my faith in humanity has received a nice bump this morning.